The list of great ice cream shops in Phoenix goes on and on, but you must stop at Churn. 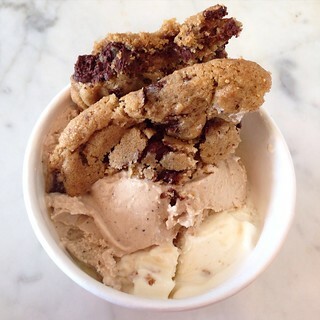 Churn is known for their ice cream sandwiches, with deliciously gooey cookies and creamy, freshly churned ice creams. 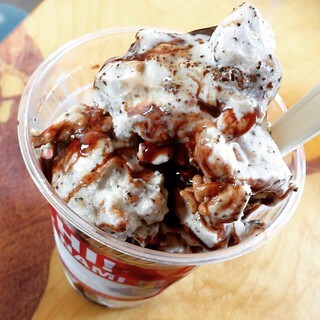 You can also get a scoop of ice cream and a half cookie as a topping. I had the Vietnamese coffee and Hangover Helper (a whiskey ice cream) topped with half a salted chocolate chip cookie. 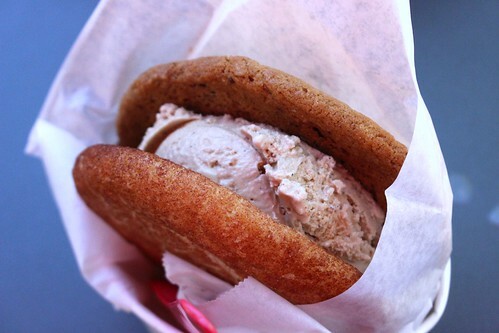 You can get two different cookies for your ice cream sandwiches, too! Rollover Donuts is brought to you by the same people behind Short Leash Hot Dogs and you can get the donuts at the hot dog location as well. 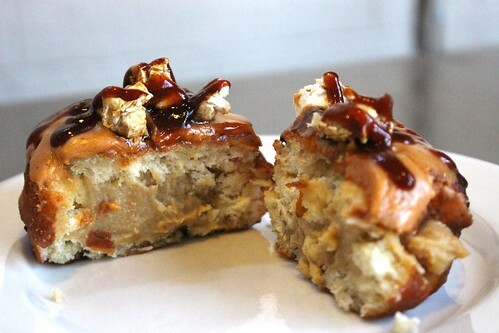 They're most famous for the Bear, which is a smoked gouda and bacon doughnut filled with peanut butter custard, topped with sweet bbq glaze and crackerjacks. Their regular donuts are $2 while the "extra special" including the Bear is only $2.50. Well worth it! 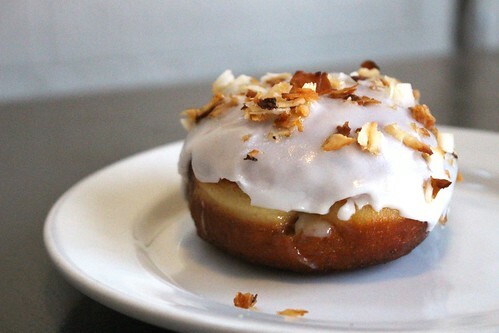 My favorite was the Spicy Thai Coconut, filled with coconut Thai chili custard in a coconut milk glaze and toasted coconuts. It's pretty light with a light kick from the chili! I confess, I originally had skipped Nami from my list because it's vegan, and I only ended up here because I was driving by and wanted an iced tea. But seriously, I'm so glad I tried it! It's not only the best vegan soft serve ever, it may well be one of the best soft serves I've had! The soft serve is is soy-based but it has a coconut flavor to it. I tried the Coffee Coco Loco, which was topped with coffee syrup, mixed with cocoa nibs and cocoa crunch balls (which reminded me of Cocoa Rice Krispies). This particular mix is apparently also gluten free. A quick stop of iced tea turned into me devouring this whole thing, it was so good. Sweet Republic is one of the most popular ice cream shops in Phoenix - and one of the most popular places in the city in general. The artisanal shop boasting all-natural ingredients have won numerous "Best of" awards with their rotating creative flavors (like Chocolate Orange Sichuan Peppercorn) along with classics on their 20+ daily flavors. 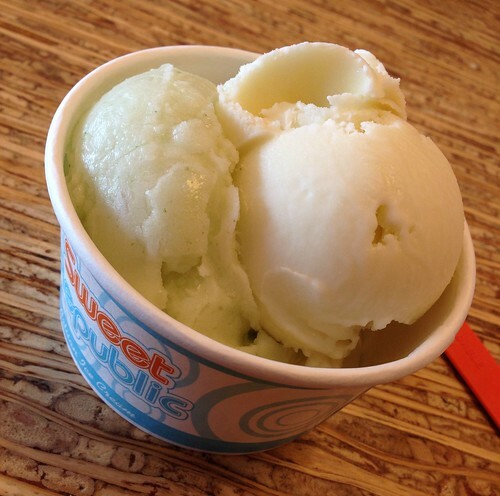 Some of my favorite flavors are honey blue cheese (available on weekends only) and the basil lime sorbet. So refreshing! The people behind the popular Welcome Diner had also opened up a fried chicken and donut shop. 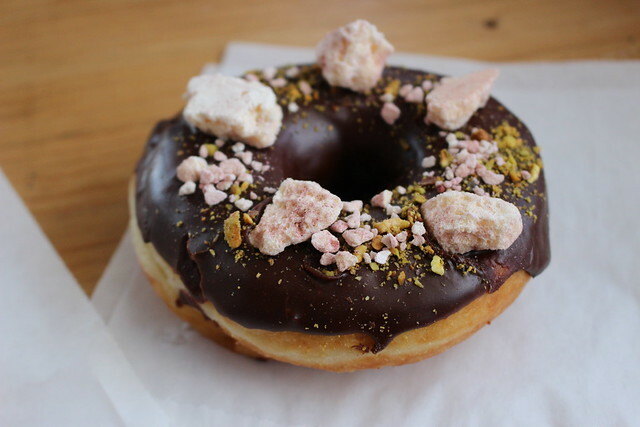 While the fried chicken combo gets you a regular cake donut, you should upgrade to what they have in the case including this Rose Pistachio donut or the vegan blueberry cocoa donut (yes, another vegan item that became one of my favorites). Some flavors sell out early, so don't go too late in the day! The store opens at 7am although they don't start serving chicken until 10:30. In the morning it's all about the donuts and coffee!